You’ve got bass and bonefish on the brain and know of a few spots you’d love to be able to fish but you just can’t get to them in your boat. What are you going to do? You’ve heard about SUP fishing before but aren’t quite sure what it’s about. After all, you’ve never fished in anything but a boat and aren’t sure if paddle board fishing will be right for you. What is stand up paddle board fishing, anyway? You’ve got questions. We’ve got answers. Find out everything you need to know about SUP fishing below including our picks for 2 of the best fishing SUPs! 1 What is SUP Fishing? To put it simply, SUP fishing is where you go fishing on your stand up paddle board. Most SUP boards are wide enough, long enough, and stable enough to accommodate the fishing gear you’ll need to go slay some fish while standing atop a paddle board. If the thought of trying to balance on a paddle board while simultaneously trying to cast to and reel in big fish doesn’t appeal to you, then you can simply use your paddle board as a way to get to otherwise hard to reach places that might be too shallow for a motor boat. You can be a lot more stealthy and sneak up on some fish on a paddle board than you can with a big boat motor announcing your presence. 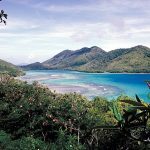 Once you arrive at your destination, you can anchor your board and slip into the water and do some wet wading for some fish instead. SUP fishing is just a different technique and method to try for those who enjoy fishing in all its forms. So you’re intrigued by SUP fishing, but how does it compare to kayak fishing (click HERE to read my fishing kayak reviews)? Let’s take a look at how they’re similar and how they’re different. Use of non-motorized vessel allows for a stealthy approach to sneak up on fish. Great to get to spots that are otherwise too shallow for boats and other watercraft. 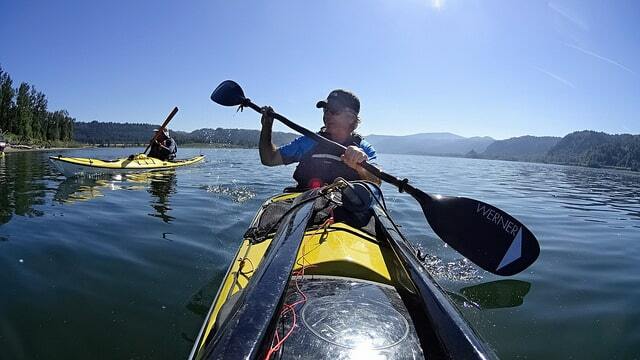 Get exercise while paddling to and from your favorite spots. Paddleboard fishing offers more freedom of movement. You have the option to stand or, if you bring the right cooler, to sit down while tying flies or for a rest. Depending on the kayak, you might only be able to sit on it if it’s not sturdy or stable enough to stand on. SUPs are easier to get on and off. If you want to wade while fishing, it’s a little bit easier to slip on and off your board. Even with a nice sit on top fishing kayak, they’re still more geared towards people who want to stay in the craft, not get out of it. You usually get more storage with a fishing kayak than a fishing paddle board. On a SOT kayak, you get deck space plus hatches within the kayak for storage. On a fishing paddle board, typically you only have deck space that is not protected from the elements. Most of the differences of SUP fishing vs. kayak fishing are minor and can be overcome. 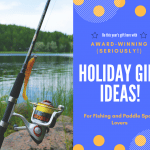 But if you’re looking for one factor that will sway your decision as to whether you buy a fishing paddle board or a fishing kayak, then it comes down to whether you prefer to sit and fish or stand/wade and fish. That’s the crucial difference between the two and your answer will determine which vessel you buy. Now that you know a little more about paddleboard fishing, it’s time to figure out which is the best SUP for fishing. Here are two boards that are both highly rated and recommended fishing paddle boards. While this board is technically billed as a stand up fishing paddle board, in reality, it’s almost a hybrid of fishing kayak and fishing paddle board. Ready to see the Wizard? Click HERE for an awesome deal from Amazon! The deck offers storage hatches of the type typically seen on a fishing kayak. Plus the board material isn’t the usual epoxy/resin or high-density foam seen on many SUPs but rather a blow-molded polyethylene typical of a kayak fabrication. Another similarity it shares with a fishing kayak is its hefty weight. Pretty much the only criticism this kayak received is about its weight, which is a whopping 65-70 pounds. Most standard SUPs only weigh between 25-45 pounds. A fishing cart or dolly was definitely recommended to help transport this board to and from your launch point. That being said, people LOVE this board. It has 4 fishing mounts and 2 rod holders plus a cargo mount for a cooler along with front and rear bungee systems to hold down your belongings. It also has a paddle clip to make sure you don’t lose your paddle while you’re fishing and a flip up seat, once again showing that this really could be used as a fishing kayak if you wanted it to be. 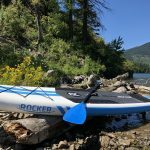 Most remarked that it performs decently, although not spectacularly, as a recreational SUP for those who like their paddle boards to pull double-duty as an all around board. Overall, if weight and transporting your fishing paddleboard isn’t a concern for you, this will be a great board for you to use to slay some fish! The difference between the Saturn fishing paddle board and the previous one is immediately apparent in their construction, with the Saturn being an inflatable board that is easy to transport, easy to carry, and only weighs in at 28 pounds. This board is also more no-frills: no hatches, no cargo mount, and only 1 bungee system on the front of the board. 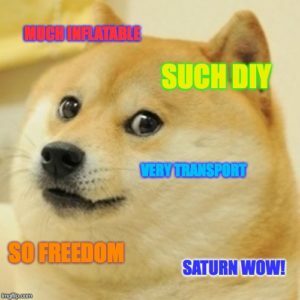 What does Doge dog have to say about the Saturn 11′ Inflatable Pro-Angler Fishing SUP? BUT, it’s no-frills for a reason. This board comes equipped with a set of splash guards with grommet holes all along the sides so that you can build and design your own storage and rigging set up according to how you like it. This offers you the freedom and flexibility to attach a kayak seat, secure coolers, or latch down a fun low profile beach chair. You can build a fishing frame out of PVC or attach additional rod mounts. They even mentioned being able to lace together 2 paddle boards to create more of a catamaran so you can float next to a friend while dangling a line in the water. 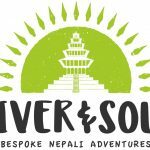 This is really the ultimate SUP for those who love DIY projects and want to start with just a blank slate with which to create their own masterpiece. Stand up paddle board fishing is another great way to take your love of the outdoors to the next level. If you’re convinced this is going to be your next favorite hobby and want to know the best SUP for fishing, we recommend the Imagine Surf V2 Wizard as the ultimate angling kayak. It has everything you could ever want or need in a fishing stand up paddle board and is river ready. The Saturn Inflatable Pro-Angler is our second choice. Lightweight and transportable, as all inflatable SUPs are, this board is better suited for those who already know what they want in a fishing SUP and want to take the time to fit it out and come up with their own system for storage, rod placements, and other modifications. No matter what, you’re going to be thrilled with the results you get from being able to stealthily glide into that little inlet or hidey hole you’ve always gazed upon from a distance but were never able to get close enough to cast to and start reeling in some fish! Related: Think a fishing kayak will work better for you? Check out my top picks for best tandem fishing kayak to sneak into those honey holes and catch some monster fish!